The first of its kind petition on the issue points out to one’s right to choose his food, supply of essential proteins and denial of access to cheap and nutritious food to lower socio-economic strata of society- predominantly SC/ST and Muslim communities. Thirty Maharashtra-based social activists have knocked the door of the Supreme Court through senior lawyer and former Additional Solicitor General Indira Jaising seeking a lifting of ban on cattle slaughter. The preliminary question asked : Whether the Hon’ble High Court was justified in upholding the validity of Section 5, and consequently Sections 5A and 5B, and 5C, thereby extending the complete ban on the slaughter of cows to bulls and bullocks without even considering all the submissions, facts and quantitative data submitted by the various petitioners before it? For that the right to consume food of one’s choice is part of the right to food under Article 21, since food habits are formed over centuries and the right to conserve food cultures is part of Article 21. For that no person can be compelled to eat what he or she does not wish to eat as an alternative source of food, since the right to eat food of one’s choice is part of the fundamental right to life guaranteed under Article 21. For that food is res extra commercium and only those foods that are injurious to public health can be banned or access denied and no other form of food. For that the direct and inevitable impact of prohibiting slaughter of bulls and bullocks is to deny access to beef for the purpose of human consumption, thus denying the right under Article 21. For that beef is known to contain protein which is necessary for human survival and is an affordable form of food which cannot be denied to those who wish to eat it. 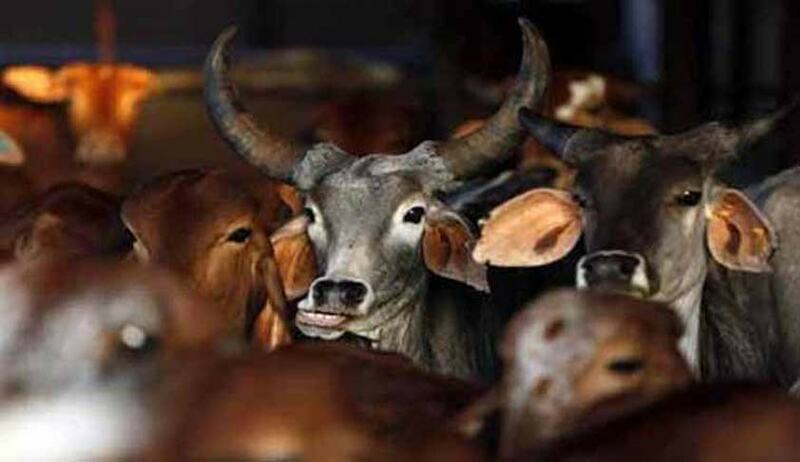 Bench of Justice A S Oka and Justice S C Gupte of the Bombay High Court had upheld the ban on cattle slaughter in the state but allowed people to consume beef imported from other states, observing that a ban on imported beef would be “an infringement of right of privacy, which is a fundamental right”. The court had also struck down a rule which provided one-year imprisonment and a fine of Rs 20,000 for those possessing beef calling it unconstitutional as it violated a person’s right to live. Meanwhile the Supreme Court had issued notice to the Maharashtra Government and Centre on a separate petition filed by the Akhil Bharat Krishi Goseva Sangh which challenged the Bombay High Court order allowing possession and consumption of beef brought into Maharashtra from outside the State.